PokerStars parent Rational Group and four likely participants in a future intrastate California online poker market have announced an agreement through which Rational Group would provide the online-poker software and hardware platform for players on the four entities’ sites. The four are the Morongo Band of Mission Indians and three non-tribal, Los Angeles-area card rooms — Commerce Club, the Hawaiian Gardens Casino and the Bicycle Casino. Each of the four were previously identified as being in negotiations with PokerStars, with those negotiations becoming a primary point of contention with a separate collection of California tribal nations who have backed legislation seeking to ban PokerStars / Rational involvement in California through a “bad actor” provision. The release of a statement confirming the deal between Rational and the four would-be Cali online-poker providers occurred literally as an ongoing California state legislative hearing was in progress, a hearing brought forth in the California Assembly by the primary sponsor of the bill containing the provisions designed to block PokerStars, Rep. Reggie Jones-Sawyer. The agreement would take effect only if California formally authorizes online poker, which is itself far from a certainty, but confirms the deep divisions between the opposing pro-online-poker factions in California that must be resolved before any such proposal becomes law. Sacramento, CA, April 23, 2014 – The Morongo Band of Mission Indians, California’s (and the world’s) three largest card clubs – the Commerce Club, the Hawaiian Gardens Casino and the Bicycle Casino – and The Rational Group, which owns and operates PokerStars, announced today that once California enacts legislation authorizing intrastate online poker, PokerStars will serve as the subcontractor providing the online poker platform and related services for a real-money online poker website to be licensed, owned and operated by an entity owned by the Tribe and the card clubs. This will give Californians access to the world’s largest and most popular online poker brand in a safe and locally-regulated environment. The organizations will work together to advocate for legislation that extends California’s tough, long-established gaming regulations to include intrastate online poker and thus ensure stringent consumer protection, consumer choice and maximum revenue for the state. The agreement formally ties the organizations together in a long-term arrangement to promote legislation that authorizes and regulates intrastate real-money online poker in California and thereafter to all necessary licenses and other approvals to offer online poker under the new State-regulated system. Extend California’s Strict Consumer Protections and High Standards of Accountability to Intrastate Real-Money Online Poker. 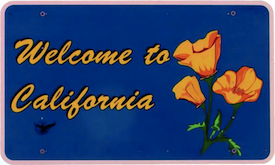 Ensure that California and Californians Benefit From State-Authorized Online Poker. Require Stringent Regulatory Vetting of Operators and Subcontractors Before Authorizing Licenses, Using the Same Proven Statutory Suitability Criteria that Have Served California Well for Nearly Two Decades. “Efforts by a select few interests to rewrite longstanding and effective policy in order to gain a competitive market advantage or to lock out specific companies is not in the best interests of consumers or the state and will be vigorously opposed by our coalition, online poker players and many others,” Chairman Martin added.